A simple way to create complex lighting irrespective of the situation of electric power outlets. Every room requires an individual approach to choosing the optimal light fittings. Depending on your needs, proper lighting can optically increase the size of the room, highlight or mask details, create the right atmosphere to calm you down or motivate you to action. The SNAP system makes it possible to plan the arrangement of light fittings that will satisfy all your needs. Its possibilities are limitless. The system contains five different sizes of bases with diameters of 90–250 mm, with outlets either on the side or in the centre, and two types of cord holders. This broad range of products makes it possible to freely arrange compositions both on the wall and on the ceiling. The accessories are compatible with all suspended fittings made by Chors. The SNAP system enables one base to provide electric power for up to eight lamps in the case of fittings with a traditional light source, and up to nine lamps with integrated LED source of light. 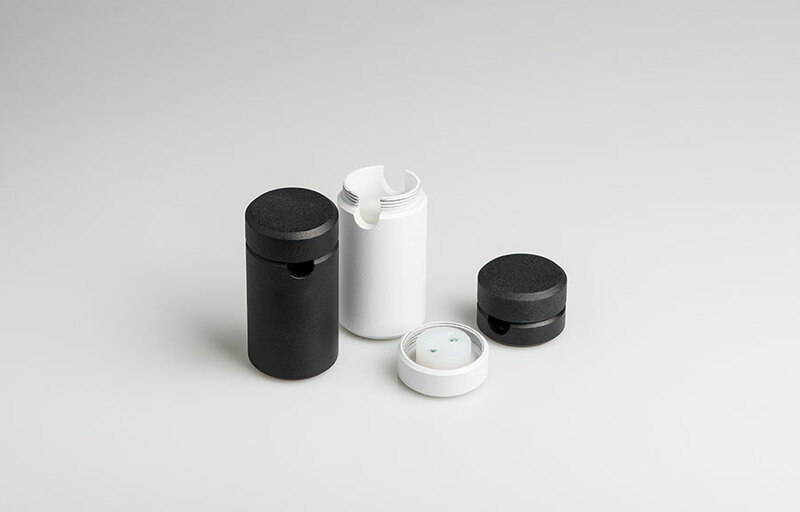 The presented arrangement uses the SNAP A 160 base with four fittings: Moi Z 30 black, Moi Z 60 black, Telescope A Z black/snow white, Telescope B Z snow white/black. All fittings emit NW – 3000K light colour. While planning the lighting arrangement, you must bear in mind the character of the room and all the functions it will serve. 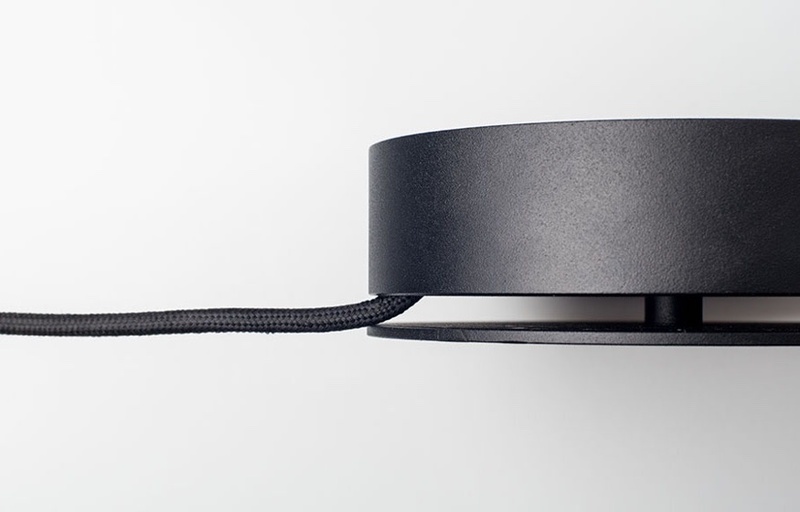 While using the SNAP base it is possible to illuminate several places from a single power supply, which will guarantee the right atmosphere in the dining or living room. Dining room: (1) SNAP B2 250 TRIAC base (2) 1xMyco Z 300 (3) 1xMyco Z 160 (4) 2xMyco Z 120 (5) 1xSNAP A. Because SNAP bases are compatible with phase-control dimmers, it is possible to regulate the light intensity and in this way create the right atmosphere in the room. Bedroom: (1) SNAP B1 120 TRIAC base (2) 2 x SNAP A (3) Telescope C Z (4) Telescope A Z. Just a few SNAP cord holders will turn the light fitting into an original decoration of the wall or ceiling. You can arrange them freely by using different elements offered by CHORS. Cafe: (1) SNAP B90 base (2) 4xSNAP A (3) Moi Z 60; (1) SNAP B90 base (2) 4xSNAP A (4) Moi Z 30; (1) SNAP B90 base (2) 4xSNAP A (5) Moi Z 90. Workplace: (1) Slim Line+ Z 90 (2) SNAP A; (3) SNAP B 90 base, (4) 5 x SNAP A, (5) Qua+ Z 20. Work place: (1) Slim Line+ Z 90 (2) SNAP A; (3) Baza SNAP B 90, (4) 5 x SNAP A, (5) Qua+ Z 20. Do you like to hear from us? New product launches, design stories, interior inspiration and more — delivered right to your inbox.